The United States Trustee Program is the component of the U.S. Department of Justice that supervises the administration of bankruptcy cases. The United States Trustee for Region 15 serves the federal judicial districts established for Southern District of California, the District of Hawaii, the District of Guam and the Commonwealth of the Northern Mariana Islands. The regional office is located in San Diego, CA. 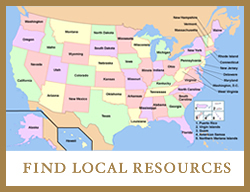 The links on this site contain information about the regional and district offices of the United States Trustee within Region 15.